When it comes to my profession, I am a pilgrim. A wayfarer. A wanderer. And yes, a bit of a rule-breaker. 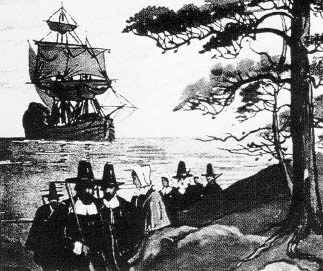 In the United States, when we think of pilgrims, our thoughts generally go to the early settlers who fled England on the Mayflower to establish the Plymouth colony. They, too, were rule-breakers. Wayfarers. Seeking opportunity and a new way of doing things. In our technology-rich world nearly 400 years later, we are still seeking opportunity and a new way of doing things. As I manage onboarding programs, develop learning content, deliver workshops, or even contribute to this little blog, I refuse to box myself into one way of thinking because “that’s how we’ve always done it” or because of an unwritten rule that tells me how something is “supposed” to be done. Change is inevitable. Circumstances and fast-paced workplaces (heck, fast-paced lives) constantly challenge us to make our processes better. Faster. More Effective. It’s a cycle of continuous improvement. And guess what? Embracing that is our competitive edge. So, my advice to you, dear ones…don’t get too comfortable. Stock up your Mayflower and set sail, come what may. I’m truly grateful for the opportunity to explore topics that I’m passionate about with each of you. It’s such a gift to get your feedback, thoughts and ideas. Thank you! To those of you who will be celebrating Thanksgiving this week, I wish you a blessed holiday, surrounded with love, warmth and happy memories!